never work together on the same jobs I know we all think very much alike. 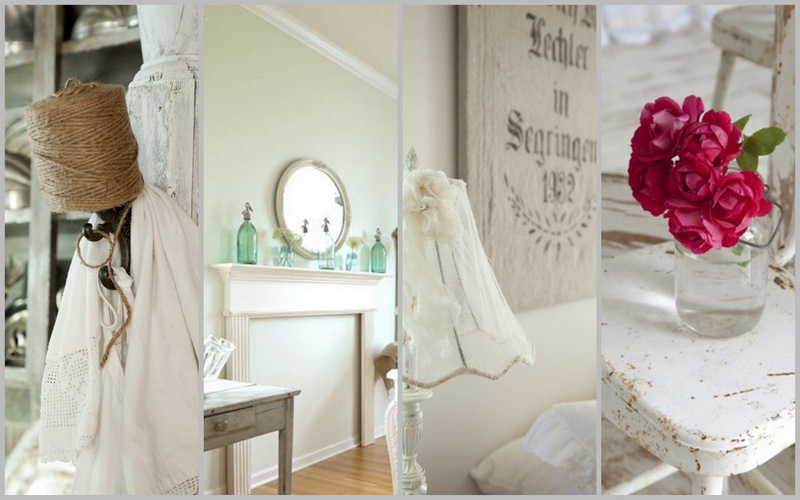 We love the same things, our homes are similar and we are definitely mad collectors. 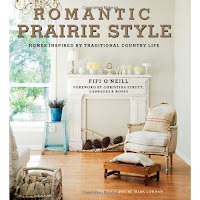 My beautiful friend, editor, writer and stylist, Fifi O'Neil has just recently launched her new book, Romantic Prairie Style. with a heart filled to the brim with love for everyone and her animals. with a images of the country. 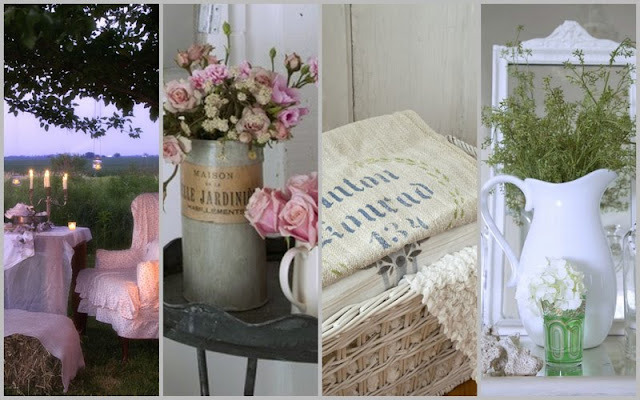 I have always been drawn to the country and to beautiful things and my love of flowers and handmade fineries and Fifi's book has pages and pages of gorgeousness. Fifi O'Neill grew up in Paris, France. 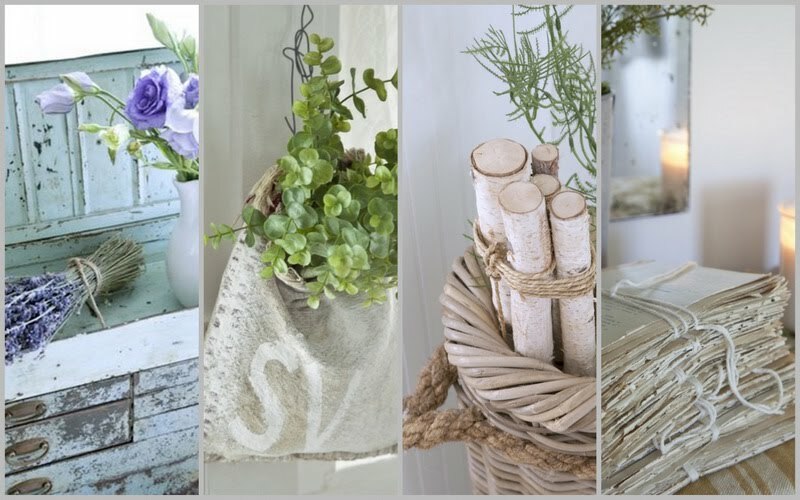 Fifi has produced numerous features on home decorating, food, and gardening for American and European magazines, such as Coastal Living, Country Living (USA), Casa Romantica, Casa Antichi (Italy), and many more. Though she now lives in Florida and her work takes her from coast to coast and across Europe, her heart belongs to the prairie with its enduring aura of romance and nostalgia, its enduring connection between people and places, and its gentle yet resilient spirit. Fifi's book is filled with romantic images photographed by Mark Lohman and the book is published by Ryland, Peters and Small and available online through Cico Books. I am so looking forward to getting Fifi's book! You highlighted so many wonderful pages. What a treat! Fifi was born to create gorgeous images for us to enjoy. She and Mark Lohman make a marvelous team. Every time I see the promo's for this book it just makes me want one. Luscious!! Thanks for sharing such lovely images. my humble kitchen boasts that that little bundle of twine on an old porch post ... meeting this lady and Mark was a week I will never forget. Fifi emailed all of us to let us know that YOU knew! I've sold 53 copies just from my sidebar! YOU ARE SUCH A SPECIAL LADY! I love Fifi's book too and Mark Lohman's photography takes one's breath away. Beautiful post about a beautiful woman, inside and out, that's Fifi! 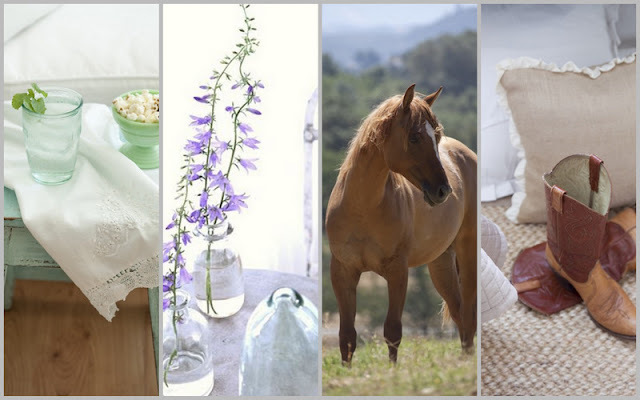 I was googling and I accidentally clicked on the picture with the horse that lead me to your blog. Funny thing is that it is for the book Romantic Prairie Style, and I was at the moment ordering the book on Amazon. I can't wait to get it and read. Beautiful pictures.